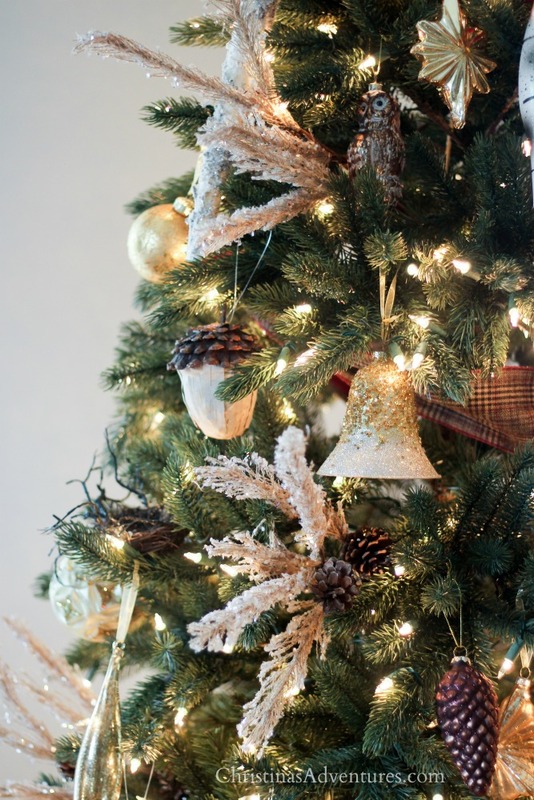 Learn simple steps you can take to achieve a rustic glam Christmas tree look in your home this season. 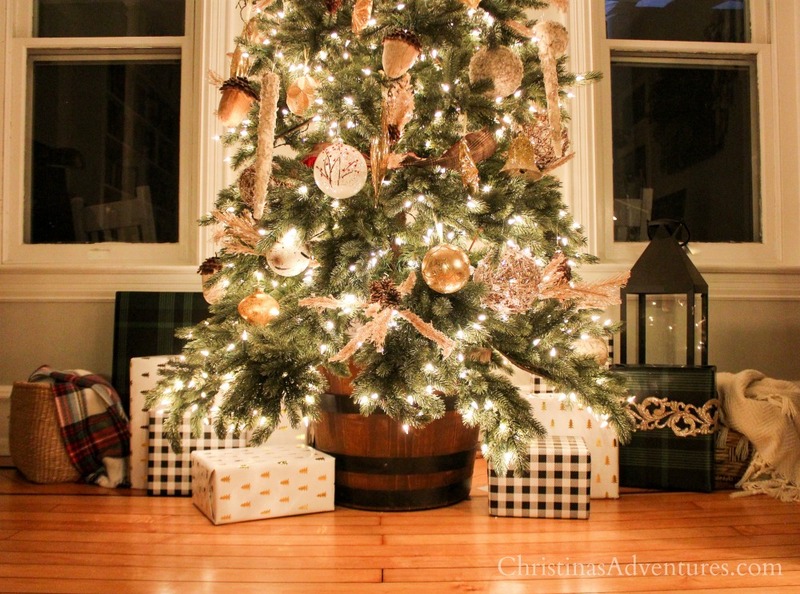 This post is sponsored by Balsam Hill for their 12 Bloggers of Christmas. As always, opinions are 100% my own. When we’d been married for a few years, I had a really bad asthma attack that landed me in the hospital. I found out I was allergic to most kinds of pine trees, and could only get a certain kind of live tree (which, if I’m honest, just isn’t a super pretty tree). 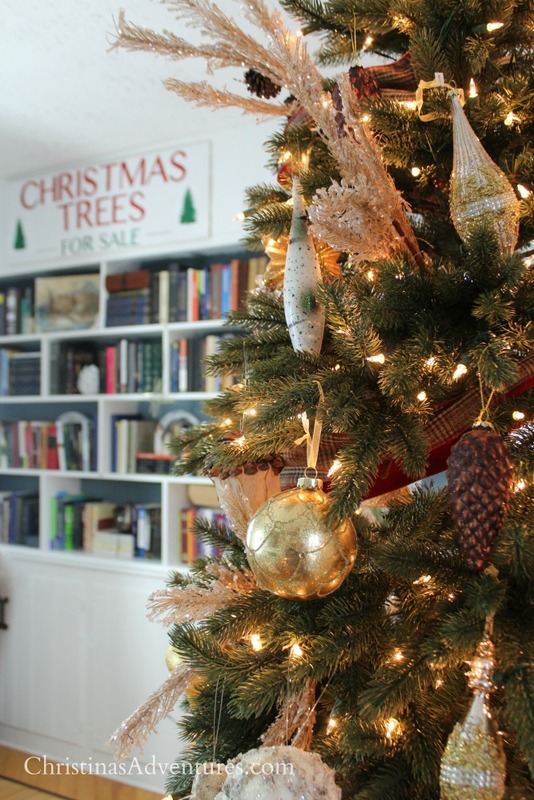 So, a few years ago, we saved our money and bought our very first artificial tree – and it was a Balsam Hill tree. I’d always heard that they were superior quality, and they looked so real. We actually bought it after the Christmas season, and I was beyond excited when it arrived. 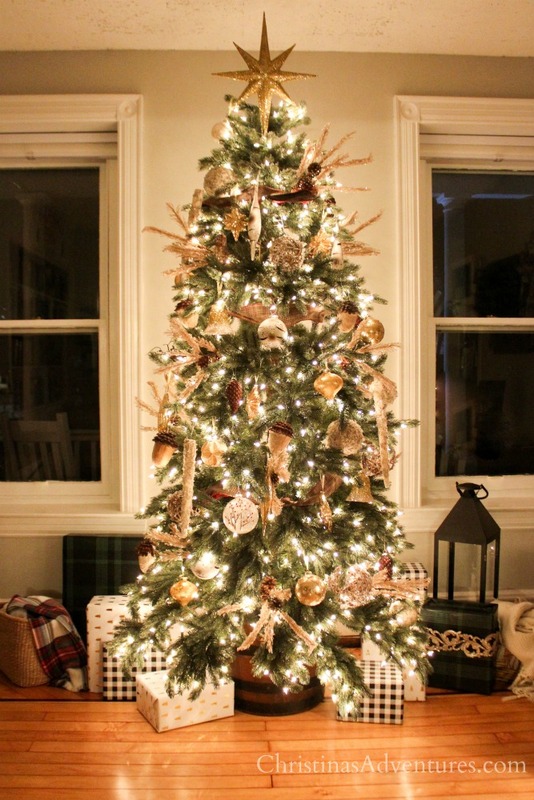 I had always been against artificial trees, and suddenly found myself in love with one. So now, I received my second tree, and it’s even more amazing than the first one. 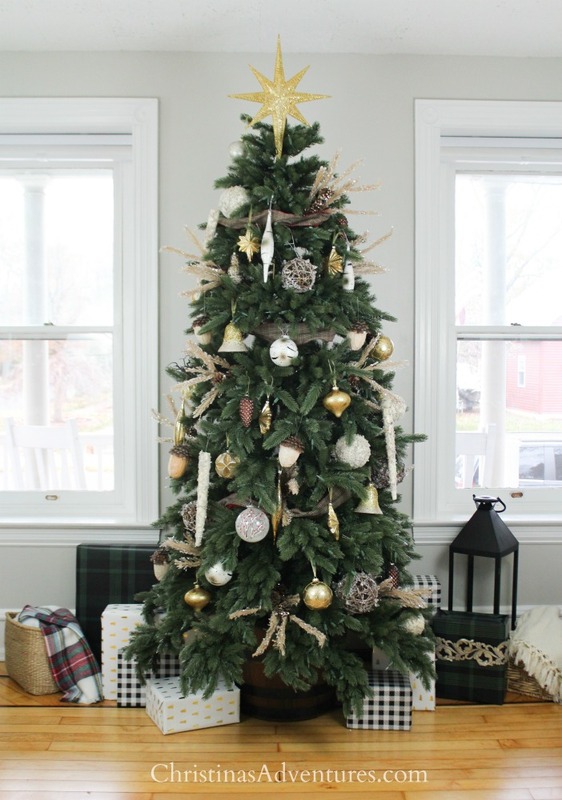 I got the Vermont White Spruce (narrow, 7.5′, clear pre-lit) I am completely in love! The needles are super realistic, and people who have visited are questioning whether it’s a real or artificial tree. Can I let you know something? 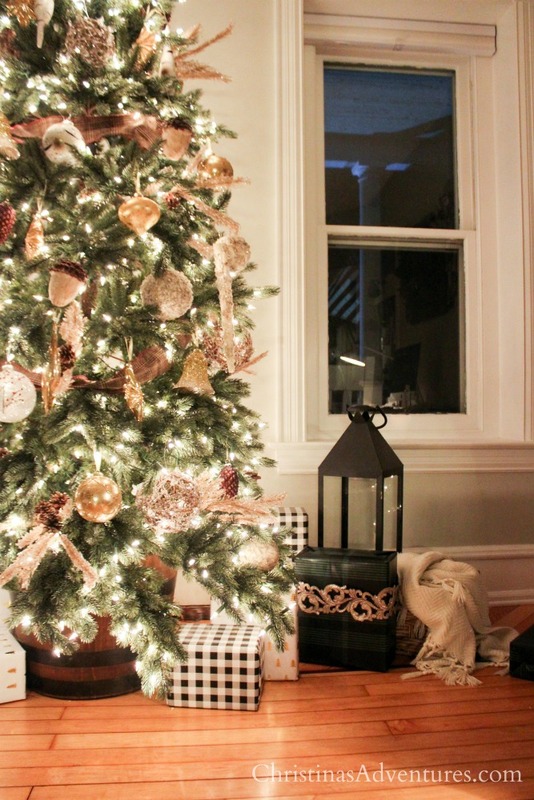 Even if I didn’t have allergy issues to worry about – I am now a 100% artificial tree convert. I was seriously such a big skeptic a few years ago, and now I’m one of the biggest fans! When artificial trees can look this good, I just can’t imagine going back. 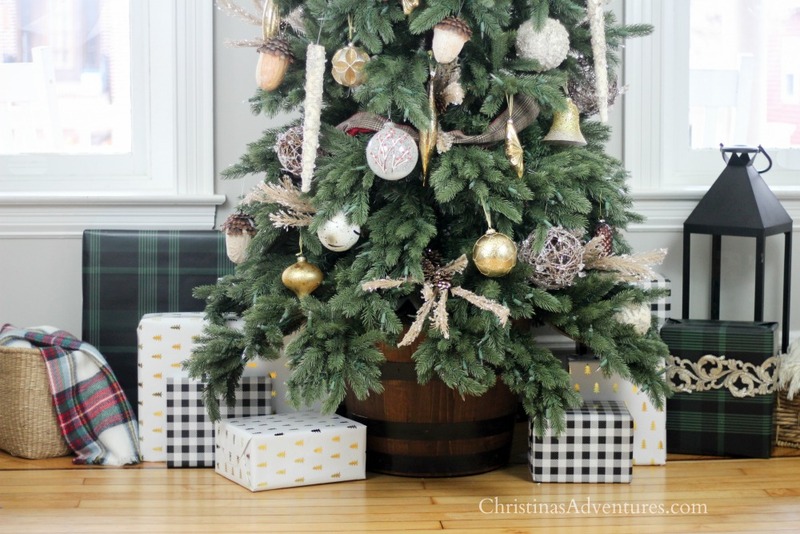 I am in LOVE with the wine barrel tree stand we have the it in. It really makes a statement, and adds such a cozy and rustic feel to the space. I decided to play off of the rustic feel with some more “glam” elements. Because it’s just not Christmas without some sparkle – right? I couldn’t be happier with how it all came together. 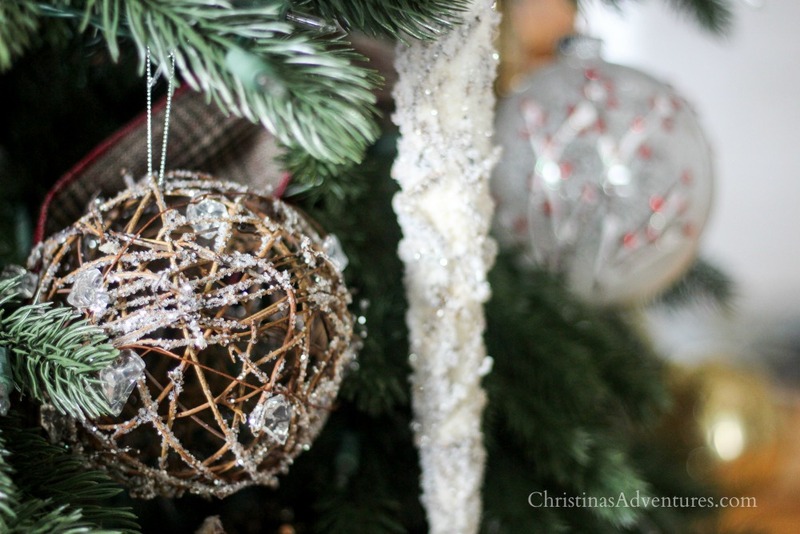 I used the woodland ornaments to add some rustic charm, and paired them with the silver & gold ornaments. 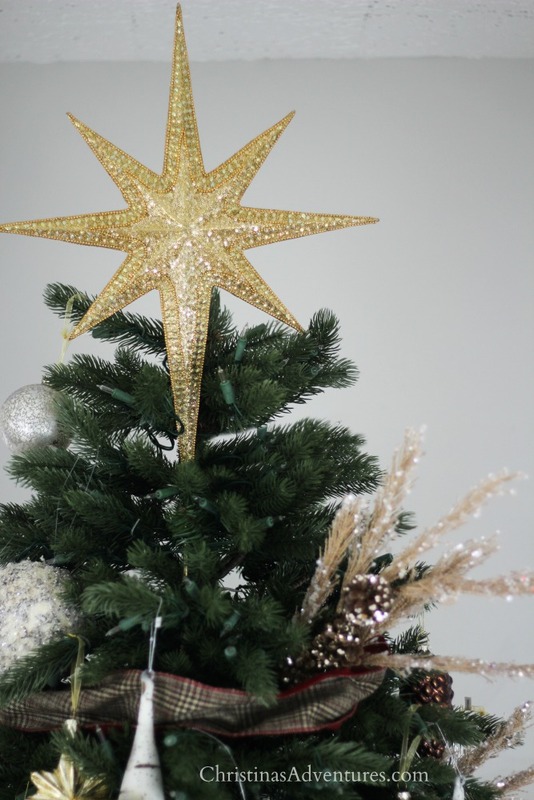 I put more of the gold ornaments on my tree, because I love the warmth it brings to the overall look. I’ve never decorated with picks before this year, and now I don’t think I’ll ever decorate without them! These picks were just perfect for our tree’s theme. 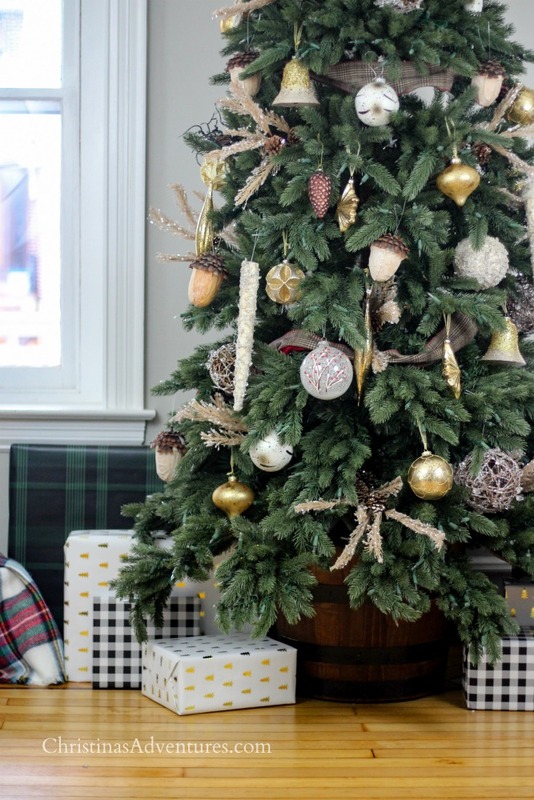 I hope this helped inspire you to mix elements of different decor styles this Christmas, and to convince you to at least consider an artificial tree. We truly love ours and will never go back! 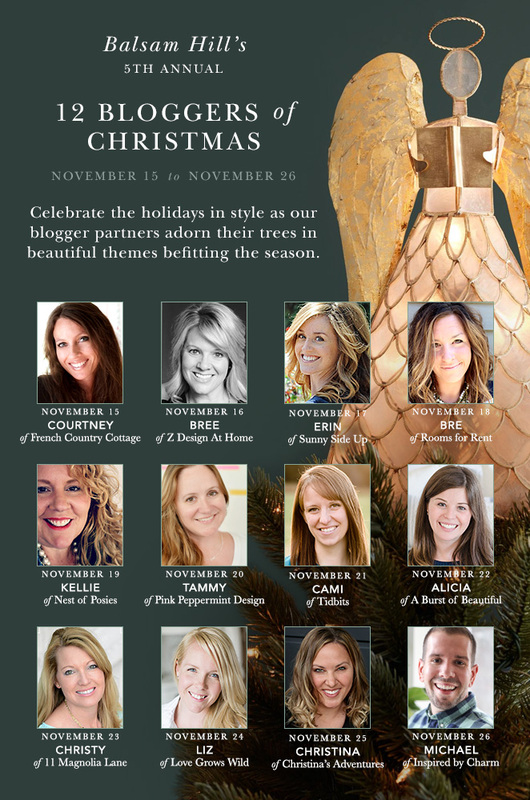 Balsam Hill is generous enough to give you an opportunity to win fun prizes this season! Find out details of how you can enter on Balsam Hill’s Facebook page here – a new winner is chosen every day! It’s beautiful, Christina! 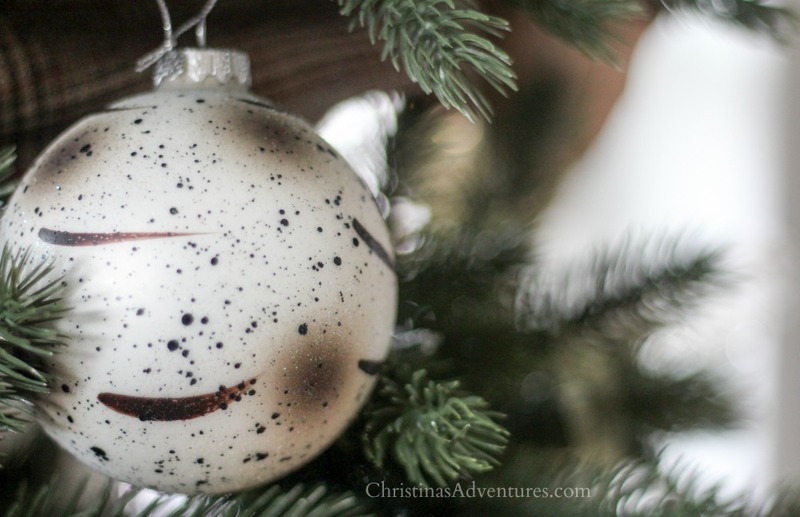 From the tree to each of the ornaments, it’s perfect!